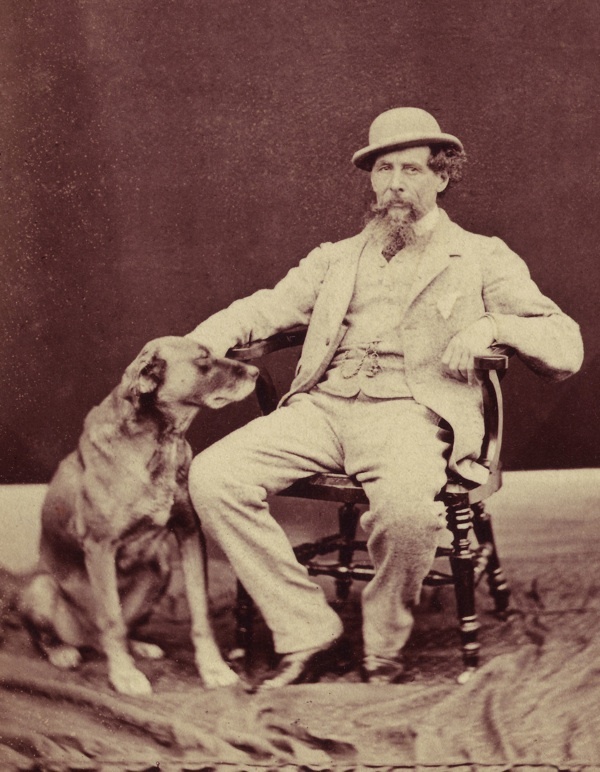 This photograph has always reminded me of the famous portrait of Charles Dickens and his dog Turk, because of the similar the way the Photographer John M'Leod has composed his subjects. 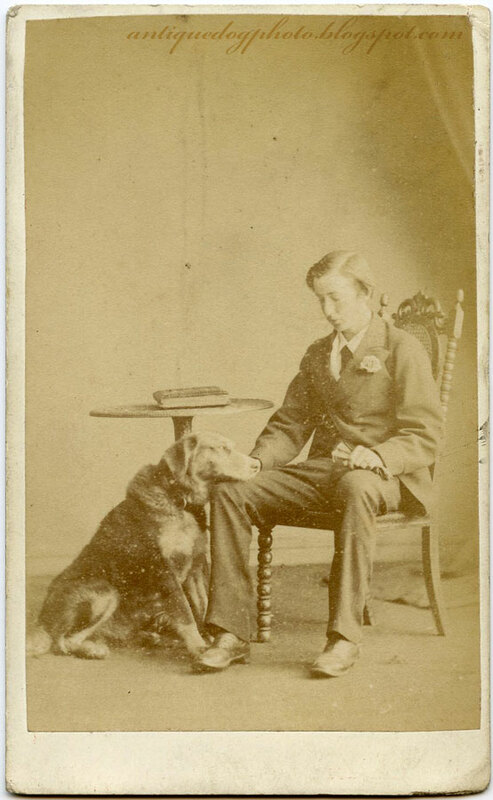 I think the plain backdrop to the image highlights the tenderness of the relationship between the young man and his dog. I think the book on the table is a leather-bound photograph album, but it could also be a Bible. M'leod had a studio in Newark-on-Trent, Nottinghamshire roughly between 1869 and 1886, I believe this photograph dates from the early to mid 1870's.